There are no strangers here just friends you have yet to meet! Bushmills 10 Year Single Malt & Jameson 12 & 18 Year Old are just some of the many choices. Session 1st and 3rd Tuesday of the month! 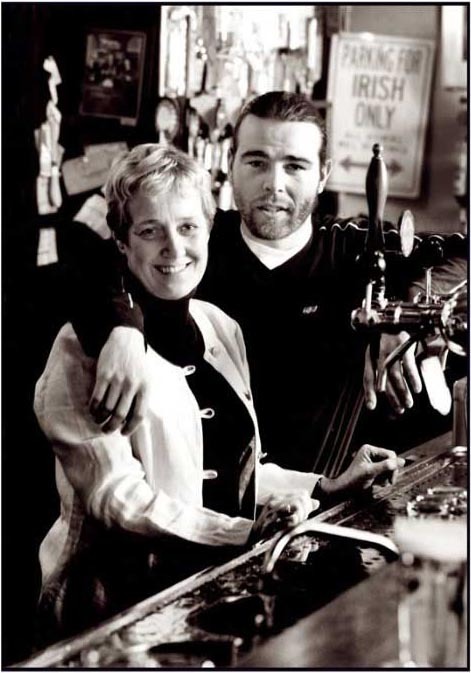 O’Leary’s first opened it’s doors to the thirsty public of Utrecht under the guidance of ‘Ma’ aka Ann O’Leary & Son Adrian Cuddy in 1995. When the keys were finally handed over the real task began as the pub needed to be open for Queen’s Day, which was only 1 week away. The troops…. (troops being all the great friends we had made since our arrival in Holland in 1980) were rallied around to completely gut and rebuild what was to become O’Leary’s. Before we could tackle the building job, the important work of finishing off the barrels that the previous owner had left had to be completed….what a night! The following day (with the mother of all hangovers) the work began. Floors were ripped up, walls were stripped… After the cleaning, floors were laid, walls were painted and the all important bar was built. But against all odds we made it and what a Queen’s Day party it was…. The pub wasn’t big enough for all the people that turned out, the Guinness was flowing so much that it ran out!! O’Leary’s is now owned & run by Adrian Cuddy after ‘Ma’ retired to enjoy the easy life a couple of years ago. Adrian has been busy in those years building up the business to what it is today.